There are many reasons a previously house trained dog begins to pee in the house, including advancing age. This is a guide about old dog peeing in house. My oldest dog has started peeing on my bedroom floor. He has never done this. He's 13yrs old, but you wouldn't know it in how he plays outside. I want to take him to the vet, but am a little strapped for cash. Any over the counter meds I could get him from Petsmart or Petco? 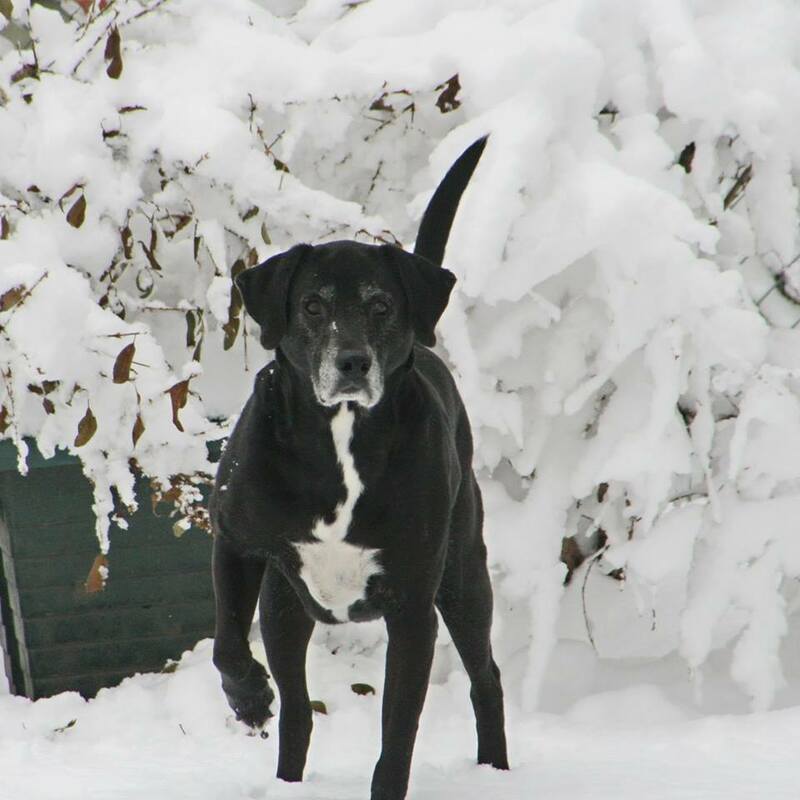 My twelve year old Lab has always been healthy. He is acting fine and eating fine and playing fine. However he is drinking excessively and going outside to pee quite a bit. The house is extremely dry from the heat, but just today he has gone in the house twice. This is something he never did. Dogs can get diabetes and kidney diseases. Please take him to the vet. Our dog has started peeing inside, she doesn't know she is doing it. She is a 10 year old cross Jack Russell. There are so many possible causes for this that it would be impossible to give advice. You really need a Vet to exclude fixable problems before deciding on what you need to do. 10 years old is not all that old for a small dog. Your chances of having a treatable medical condition here are high. Anyway, what Deeli said. Good luck. I have a female dog who is 15 years old and is unable to hold her urine for the 7 or 8 hours we are gone? I was thinking about trying the doggy pads any thougths? North Shore under pads on amazon.com sells reasonably and they are free shipping. I buy from them all the time and have never been disappointed with their product. They do not leak through and they are large enough I can scissor cut in half and make two that lasts longer. I just put the cut end toward the back and the pad is placed in a hard plastic liner just in case my dog goes too close to the edge. They also send a free Xtra large under pad in each order. You get 100 quality under pads for about $40.00 and if you cut in half, you get double the amount for the same price and it's a quality/quantity stretcher. It's up to your dog whether an under pad is going to be of use. One of our dogs uses them between outdoor potty time or when we are away from home too long. 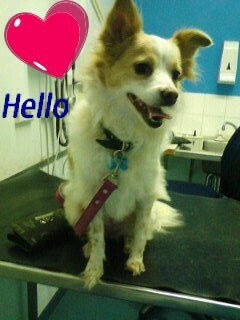 My dog is getting old, she is part Jack Russell and part Chihuahua, she is about 10 or 11 years old in dog years. I know her sight and hearing is going, she used to be potty trained, but no longer seems to be. I am a great dog lover, she is a rescue dog, we adopted her 7 years ago. Anyway, I know she is old, and stressed, but she is also very spoiled, she is my fur baby child. Today she has peed on the carpet twice and even crapped on the carpet, she has been doing this a lot lately, why, I don't know, but my carpet is completely covered in spots. When I catch her I tell her no, and put her outside. I watch her go out there, but then she comes back in and she does it again. What else can I do? Any solutions, what might make her stop, or is this just normal behavior, as I think she may be beyond retraining. Also, I just want to mention we have another dog who always goes outside to do his business. She is still pretty active when she is happy, she sings and dances, and loves to go for car rides, and walks, if any of that matters. This may be age related incontinence. A veterinarian will help you diagnose the condition. I have two 9 year old Border Terriers and one of them (not sure which) has started to pee in the house, mainly in the same area in the kitchen. They even do it when we are in the house. They have their own dog door. How can we stop this? They are both neutered males. Do you think crating them would help? Our four legged children are like people. As we age health issues start, organs don't function properly. Have your vet check out your baby to rule out any health issues. If there are no health issues, it may be time for your baby to wear diapers. My miniature Yorkie is 13 years of age and has started peeing constantly in the house. She goes out and pees on demand when told even though she has done two or three large puddles in the house. We are constantly putting her outside every time she gets out of her bed. She has stopped asking to go out, but yaps quite loud to come back in. Has anyone got any answers to this problem? It does sound like diabetes, or kidney disease. Both are treatable, and your dog can continue to enjoy life. See the Vet ASAP and good luck to you. I have a 10 year old Lab that is peeing in the house. It is always on her bed. I have changed the bed thinking once done that she will not do it again. She did on the new bed. I have taken her to the vet and her health is good (bloodwork and urine work). She is outside all day with her buddy, but she will go within 30 minutes of being in the house. I now keep her in the mud room and even put a puppy pad down. She still pees on the bed. Now she gets nothing. Help. This is a common problem. Your dog is not aware she is being naughty. In fact she is may not be aware of what is happening. Doggie diapers are not expensive and work very well. Dogs don't seem to mind wearing them. Some are quite fashionable. My 15 year old Jack Russell terrier is peeing without control and he won't leave diapers on. He's deaf and almost blind, but he can just be on my lap and pee on me. We can't put anything in his cage anymore cause he even pees in it. I'm at my wit's end, any suggestions? See your vet. He can probably give him something to help alleviate the situation. Your dog can't help it; he's no longer young. I feel you on this. OUr dog towards the last few years of his life was completely incontinent. He ended up spending most of the day outside. There are medications and surgery available to treat this problem. You will have to ask your vet what the best option is. The vet may also know of some diaper that will not be able to be removed. My old blind dog peeing in my house and he is always walking around in circles. What could be wrong? If he is old, peeing could be incontinence. In other words, he can't control his bladder anymore. Walking around in circles could be any number of things, including OCD or neurological degeneration. You will have to take him to the vet to find out if he can be helped. Our 25 lb. dog is 13 years old and is peeing on our beds, rugs, furniture, and you name it. He seems to forget to let us know he wants to go out. When he does actually come and want us to take him out he will let us know and then run and hide. After 6 or more tries to put him on the leash, he'll go out to do his business. We love him and can't figure out what's going on. He doesn't seem to be in any pain or distress. We take him to the vet regularly for his check-ups. He takes one Prilosec every day because prior to taking the Prilosec he ate loads of grass and threw up a lot. He is not dripping urine so diapers aren't needed. Any recommendations would be appreciated. He eats Blue Buffalo canned food and a few Milk Bones here and there. His name is "Buddy". 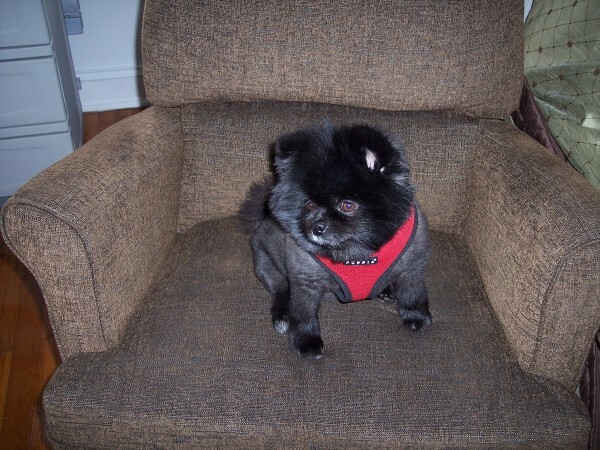 My Pom will be 10 shortly, in September, and has started drinking water in excess and wetting in the house. She has never done this before. I have a male 13 year old Sheltie. He is peeing in the house all the time or just dribbling. What to do? My 12 year old Cairn Terrier girl has been peeing on accident in our house once a day at around 9 pm at night, for about 2 nights. What should I do? Should I be worried? Our 12 year old Border Collie, a female, has started urinating on her bed and in our sun room corners. How can we prevent this? First this is to have her checked by a vet to make sure that this isn't a Urinary Tract Infection or a renal issue. 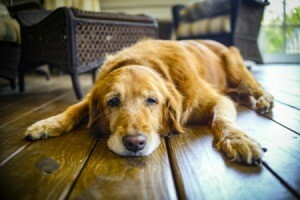 Also make sure that she isn't in pain with arthritis, as an older dog she might be having an issue getting up and out. Basically rule out all the medical possibilities before thinking it is behavioral. Absolutely have her checked at the vets to rule out any medical problems. There are many medical issues that can cause this. If everything is OK, there are any number of things to try. Your vet can prescribe a medicaton that can stop the leaking if it is from weak bladder muscles. This is not uncommon in older female dogs. You also may need to take her outside more often. Like older people, older dogs just do not have the same ability to hold their bladder as when they were young. Our 12 year old dog started peeing in the house. She does not do it all of the time, only when we leave. She can go all day and night and not have an accident; once we leave she does. Today I let my 10 yr old dog sit on my bed. This is the first time she has peed on my bed. What does that mean? Is it because she is 10 yrs old and is getting old and what do I do? Your dog is older and may have developed a medical problem that needs immediate treatment to improve his behavior. Please take him to your vet now as the vet will be able to clarify and treat any medical problems. The vet can also suggest ways that will help you help your dog to change his unacceptable behavior. 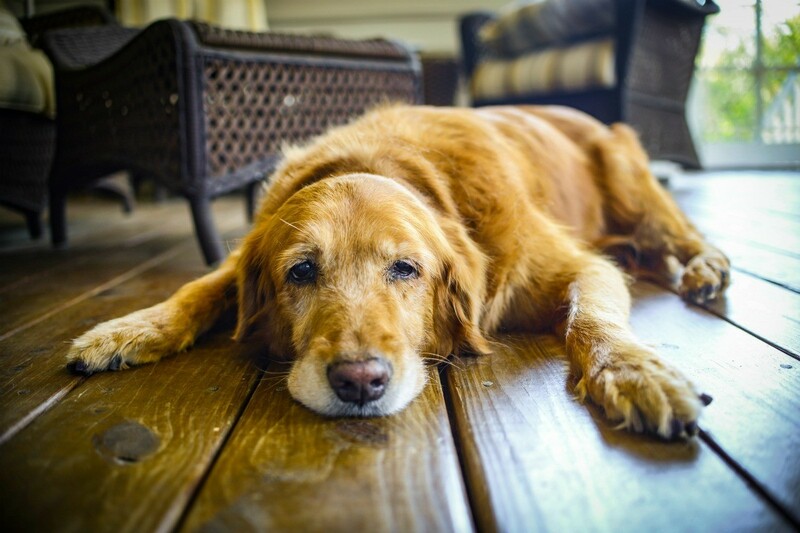 How can we get our elder dog to stop urinating on the floors? We have a miniature Poodle that is 21 yrs old, had cataracts, and has a leg that cannot work on any type of flooring except carpet. We had the same problem with our dog when he got old. We took him to the vet and found out he had diabetes so he was drinking excess amounts of water which was causing the peeing problem. So if you notice that your dog has been drinking a whole lot of water, find out if he has diabetes. If he does they can give him medicine which will stop the excess drinking which in turn will stop the peeing problem. We adopted a senior dog, who is also blind, in December. William is a Beagle Dachshund mix. I was told he was housebroken by the rescue. He pees in the house and we've done everything we can think of to try to stop him. Any suggestions would be greatly appreciated! Does he "ask" to go outside? I have a blind dachshund....got her when she was 8 weeks old. I immediately hung a large bell by my back door & taught her to ring it when she needs to go out. She still used it to this day & she is now 12 yrs. old. My daughter got 2 new puppies a few months ago.....she did the same thing and it works for her too. Because your dog is blind he might be confused as to how to let you know he needs to go out. Give the bell a try.....mine caught on to it really quick. My 15 year old Maltese has recently started leaving surprises "poop and pee" when left alone a few hours, and first thing in the morning. We take her outside to do her thing, but she still has the indoor accidents. We recently changed her feed to a senior brand. But she did have some accidents with the previous food, just not that often. Is this age related and how can we prevent this from continuing? Yes, of course this an be related to getting older. Please make an appointment with your fur babie's veterinarian for a senior examination. Your Vet will advice you on how to care for your baby at an older age. Please do not scold him/her for this action it is not their fault. Good luck. I have a 12 year old male Dachshund who will go outside and go to the bathroom and then has come back in and urinated inside. A couple times it has been big amounts, and then just small amounts other times. My 11 year old dog who has always been able to to hold it even up to 16 hours, has now started peeing in the house. On everything! I have had to rip up the carpet he has peed on it so much, but then he just finds a new spot. He has always alerted me when he needs to go out, but not now. In fact last night he peed on the laundry. Two days ago he stood right in front of me and peed on the tile. I am overwhelmed. He does not have an infection and I am at my wits end. I live alone so I have no one to let him out when I am at work. I have a lab who has been with him for years so it is not a new pet. Please some advice?